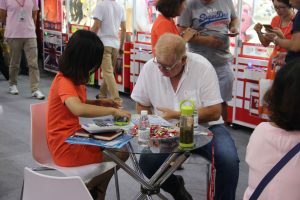 The 9th GTI Asia China Expo has be held in Area A, China import and export fair Pazhou complex, Guangzhou on September 13-15, 2017.The exhibition attracted more than 500 amusement enterprises at home and abroad. 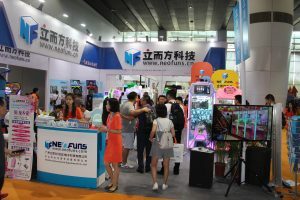 Neofuns was gold to participate in the GTI and show newest production: NEO A and NEO B, for beautiful appearance, and Innovative design which were popular with the visitors. 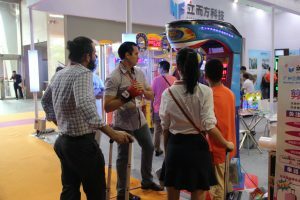 In addition, neofuns organized game activities about fun for prize machine to attract a lot of players and buyers in our site. 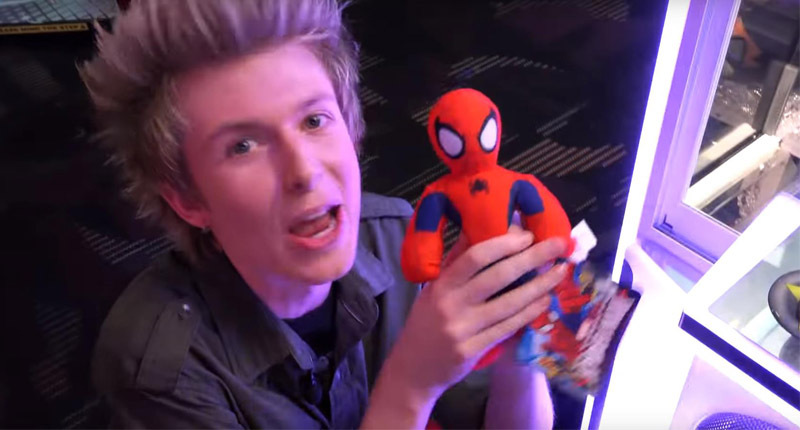 Neofuns is a 14 years professional manufacturers of prizes&merchandise so that we are proud of our production. 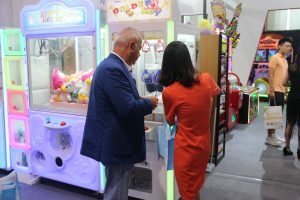 As famous amusement equipment enterprise in china, it is extremely honorable to accept the Guangdong TV interview. 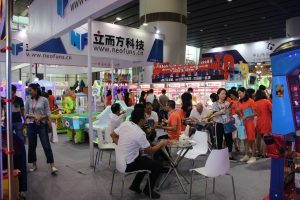 Neofuns is convinced of doing ultimate product and creating happy experience to become China’s gift machine industry leader and bring happiness for hundreds of millions of families in the future! 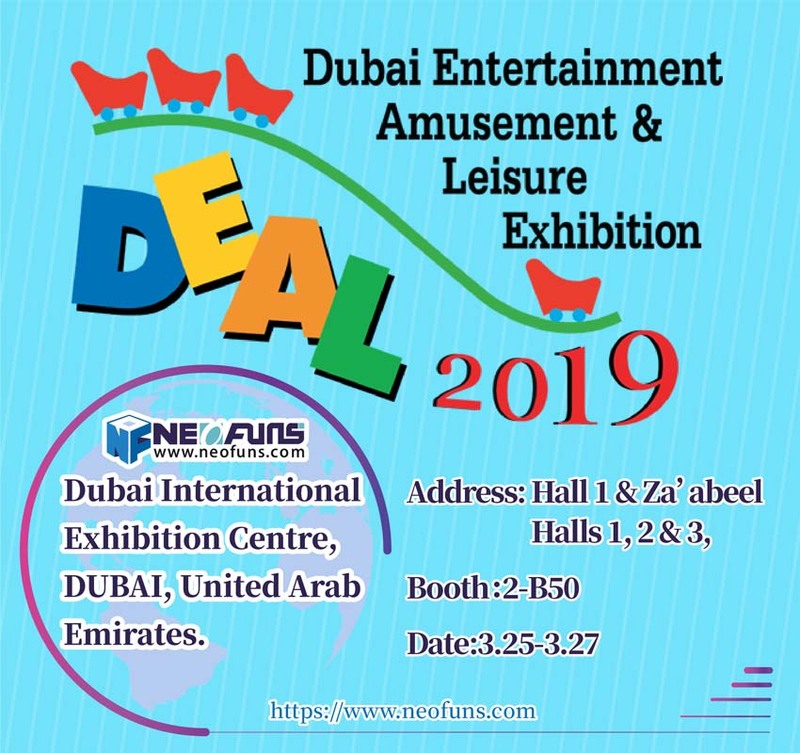 Neofuns adheres to do independent research and development production. 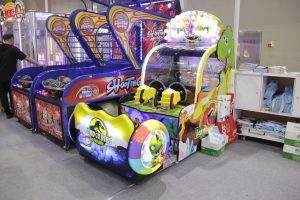 There are popular arcade games: british style cut ur prize,Good Catcher,Mini Doll;sport machine: star air hockey,funs dart machine,ultimate big punch redemption machine, monstor drop redemption machine. 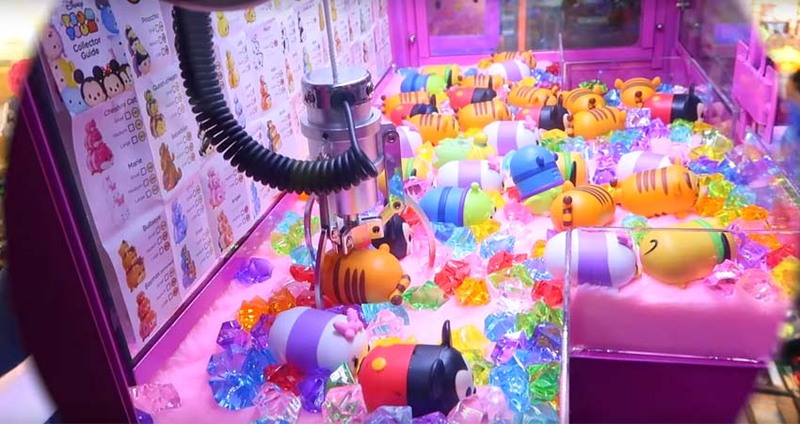 Because of professional team and perfect service, domestic market Department and Overseas Department both achieve good results that sales amount 3 million. In November, neofuns will take part in America exhibition and look forward to yours.